This week my kids and I learned all about the country of Turkey, which isn't as easy as it sounds because Google searching for a "Turkey craft" results in 10,052 results for Thanksgiving handprint turkeys. And you know how I feel about those. 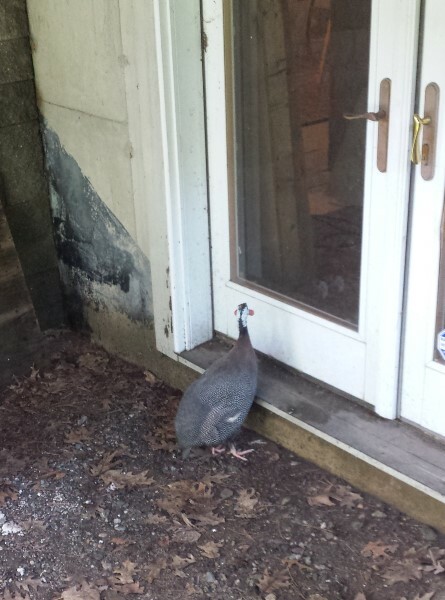 Also, in a very strange coincidence we've sort of acquired a wild turkey who keeps wandering through our yard. My kids named her Harriet and she's taken to hanging out in our window wells. Periodically, we have to chase her out of the garage. 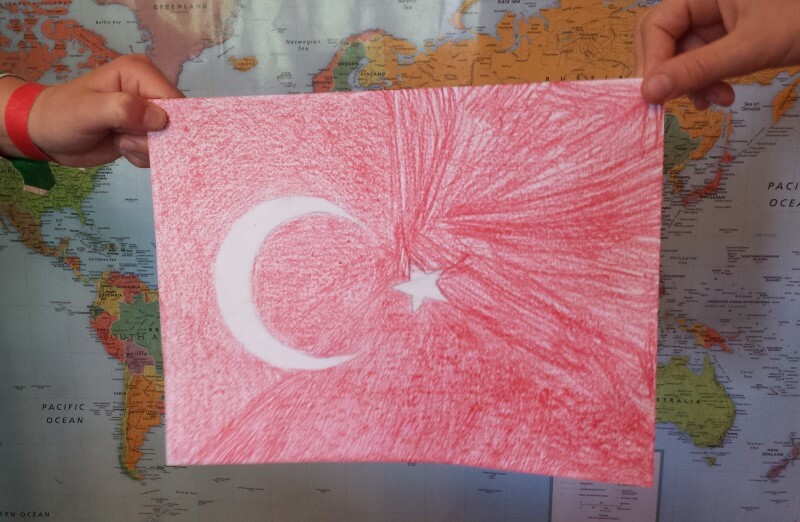 After finding Turkey on the map, my kids made the Turkish flag. Our wall is really starting to fill up with flags after seven summers of doing this! You'll notice the background of the flag is divided into three equal sections. My kids are Nazis about fairness in all the things. Then the kids filled out their passport pages with information about Turkey from the map. 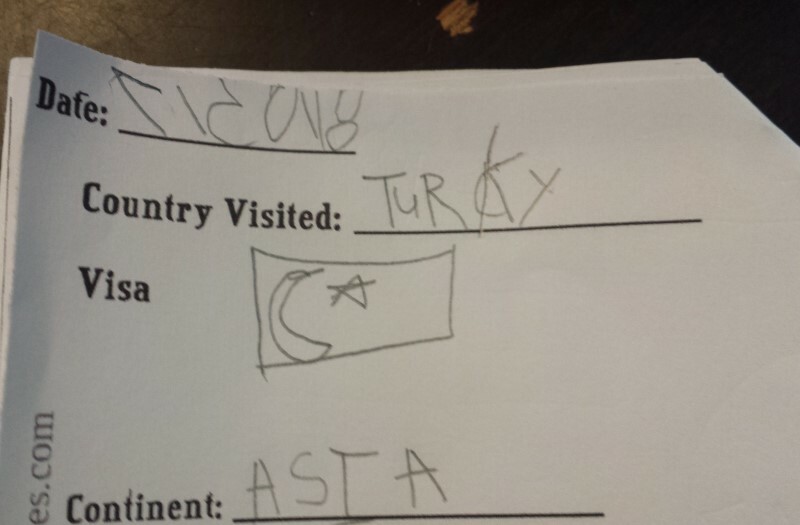 Apparently my 6-year-old and I need to review the correct spelling of 'Turky.' But actually we won't because it's freaking adorable. While the kids worked on the flag and their passports, I read out loud the book T is for Turkey and skimmed through sections of We Visit Turkey. Then we watched an hour-long DVD called Rudy Maxa's World: Turkey, which was strangely fixated on the host's obsession with buying Turkish carpets but taught us a lot about the country, anyway. When Phillip came home, we hopped in our cars (we have so many kids we have to caravan it, don't judge us) and headed out to dinner. I'd told Phillip to find "a kabob place or something" for dinner, and when we pulled up I was instantly mad. First off, there was a letter in the name of the restaurant that wasn't even part of the Turkish alphabet, and the first thing I saw on the menu when we got in the door was 'tzatziki sauce' which I know for a fact is Greek. We were in a generic Mediterranean restaurant, NOT a place that served reasonably authentic Turkish food, and Phillip was getting reamed out for it. 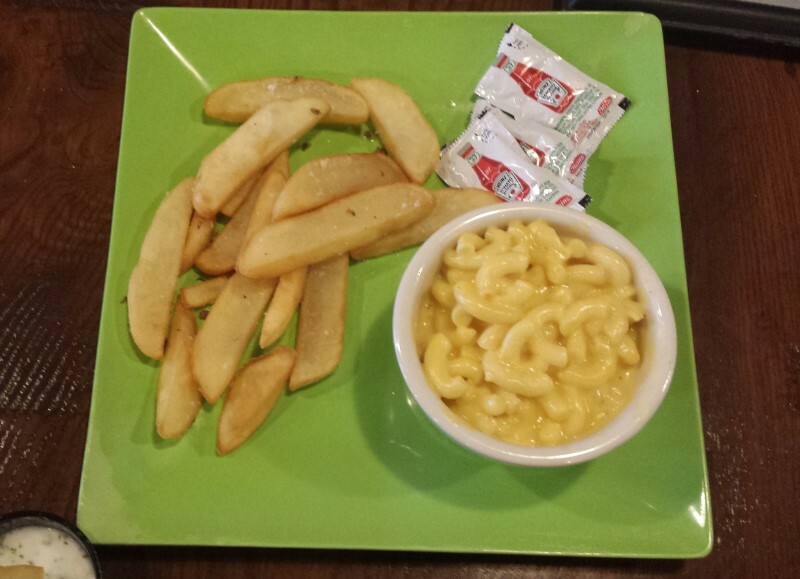 Some kind of foreign-y food. Probably. 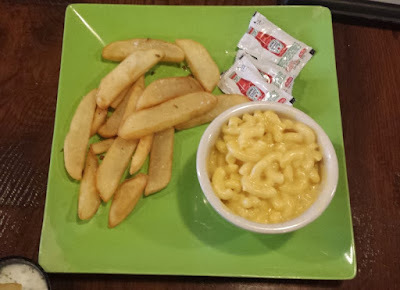 My 4-year-old's meal of mac & cheese and french fries was decidedly not Turkish at all. However, I later learned some things we ate actually were Turkish (or at least they were widely served and eaten in Turkey.) Oops. 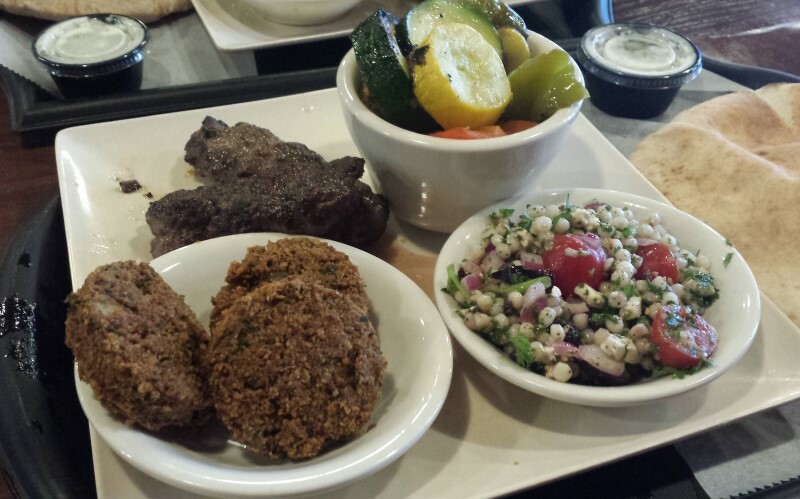 Phillip was gloating over the fact that the Turkish language learning CDs we listened to on the way home specifically mentioned things on our plates like kibbeh and stuffed grape leaves, so I had to apologize. The history of Turkey is so long, rich, and fascinating that we had a hard time finishing everything. But we sure did try. We started at the very beginning, with the ruins of the oldest known civilization on the planet. 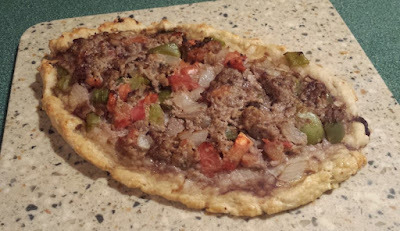 Catal Hoyuk is in modern-day Turkey, which we learned about with the videos here and here. We took the opportunity to talk more generally about what an anthropologist is, and how they use artifacts they find to make educated guesses about the culture who used or created those artifacts. I asked the kids to look around the house to see what anthropologists would learn about our family (they said that based on the contents of the shoe basket by the door, anthropologists would assume that 347 people lived here.) Then we looked at a penny and made assumptions about the culture who used it based on just the existence of the shiny circle (I found the idea for this activity here.) It was an interesting thought experiment. Next, we're getting into mythological territory. The Hittites created an empire in Anatolia in 2,000 B.C. and that's where Troy was. 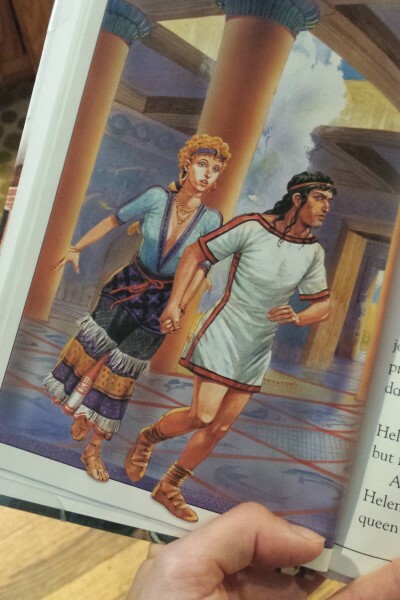 Remember the Trojan War? I explained how it was a factual event but most of the details have been mythologized over the years, and we read those myths in an abridgment of the Iliad and the Odyssey called Trojan Horse: The World's Greatest Adventure. It went on and on about how Helen was the most beautiful woman in the world and when I flipped the page the kids were like, "Wait... that's Helen??" "Why does she have '80s hair?" Good times. The height of seductiveness back then was the female mullet. Everyone knows that. 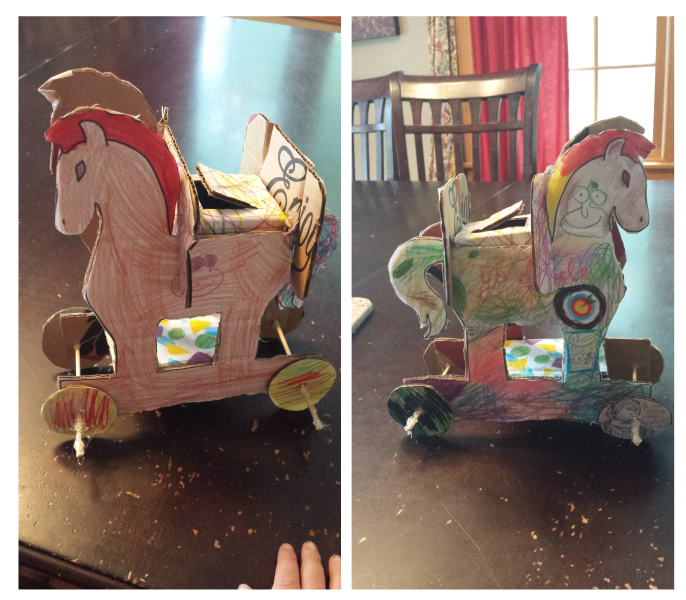 Even though scholars debate whether the Trojan Horse was just a metaphor, we then made a model of a Trojan Horse using these templates from DLTK Kids. The real Trojan Horse was also traditional-looking on one side and extremely flamboyant on the other. And that's not it for history, guys. King Midas was also a real person who ruled in the area in 700 B.C. My daughter summarized the myth of King Midas turning everything he touched to gold. Many place names in Turkey are familiar to my kids from the Bible. The Hittites, Mount Ararat, Ephesus, Tarsus... I could go on. The point is, this is a super-rich area and we talked briefly about what we knew about each of these places. According to Wikipedia, the apostle Paul didn't change his name after his conversion as is popularly assumed; Saul was the Hebrew form of the Roman 'Paul.' I learn something new every day. We then focused on the city of Istanbul. Did you know it's had three names? First when the Greeks took over in 334 B.C. they named it Byzantium, then the Romans took over and the emperor Constantine renamed it Constantinople after himself (I'm sure he was a real humble guy,) and after it was conquered by the Ottomans and then later by Greece again, Turkey finally won their independence in 1923 and renamed the city Istanbul. We read a fantastic book called Istanbul, Once Constantinople to get that timeline straight in our heads, but to be perfectly honest I still had to fact-check myself with Google while writing it down for you. History is hard. 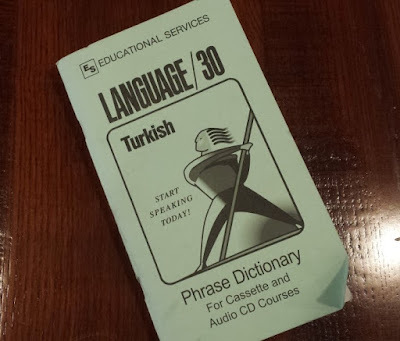 We continued to listen to our Turkish language learning CDs in the car, and my 14-year-old who loves languages devoured the little green booklet that came with it figuring out the rules of Turkish grammar and pronunciation. I like to keep this in the car because it makes me seem smart. Using YouTube, we learned how to say hello, please, and thank you. I insisted that the kids use Turkish 'please' and 'thank you' at dinner but no one could ever remember how to say 'thank you.' It's a doozy. Out of all the languages we've used to count to 10, Turkish was the greatest challenge for me. Almost every language we've studied has at least some similarities with English or Latin, but I couldn't find any here. It was just me and my memory which is frankly not as watertight as it used to be. But thankfully my 14-year-old is around to remind me. Turkish has a Latin-based 29-letter alphabet. I printed out a pronunciation guide from the Internet and gave the kids some extra "Hello My Name Is ______" tags so they could approximate their names. And I left out a copy of a children's illustrated Turkish-English Bilingual Visual Dictionary to try their hand at pronouncing the words. I'd never considered Turkey for the list of places I'd like to visit someday, but after this week I've completely changed my mind. Today, I read a cute picture book about two dogs who go to Turkey on vacation called Bella & Harry: Let's Visit Istanbul! and then we talked about all the amazing places there. This place is too cool. Even though the country is 99% Sunni Muslim, Turkey is officially a secular state. To review Islam we read Owl & Cat: Islam Is... and then we talked about the poet Rumi. I grew up seeing quotes from Rumi but I didn't know he was a Muslim mystic who founded the Mevlivi order in Turkey, more popularly known as the Whirling Dervishes. We read a children's picture biography by Demi called Rumi: Whirling Dervish and watched this 3-minute CNN documentary on whirling dervishes. Then we watched The Hidden art of Islam (free with Amazon Instant Video!) 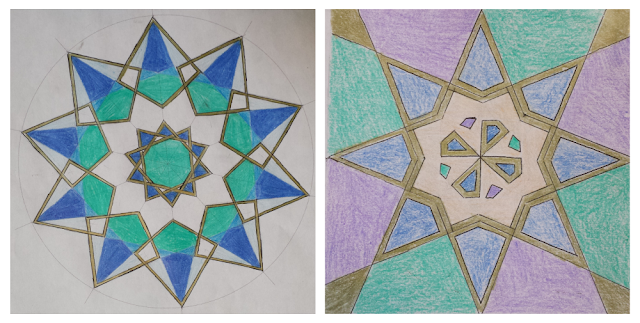 and learned how Islamic art is based on math and geometrical patterns. I thought afterward we could just grab some graph paper and make a simple Islamic-inspired design, but it turned out to be much more complicated than I'd assumed. After scouring the Internet, I finally found this amazing online beginner tutorial for creating 5 basic patterns. My 12- and 14-year-old's designs. You have no idea how many guide lines they had to measure, draw, and erase to get these patterns. My 10- and 6-year-old's designs. Didn't they do a nice job? And even though most people think it's Greek, baklava actually comes from Turkey so we had some for dessert. Storebought of course, because I can't handle trying to make my own. Our pretend trip to Turkey was even better than I thought it would be. I learned a ton and now have a new place I'd like to visit someday. 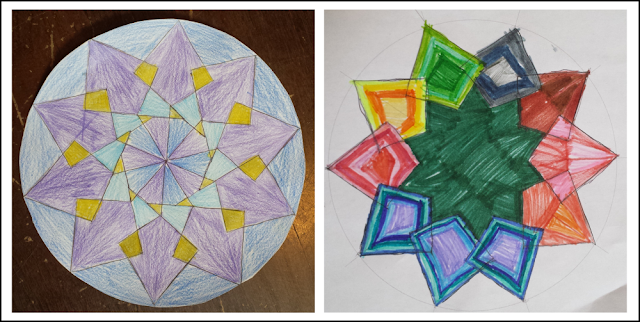 The kids had a great week, did some art, did some STEM, learned a new language, and ate pizza. I'd say it was a pretty good week. I didn't say that we were out of our pajamas while we did ANY of this. The thing is that I learn so much by doing this, I don't even care if my kids retain it. At least they have fun, and that's what matters. I totally showed them that video but I didn't think it was scholarly enough to include in this post! I remember seeing a Loony Toons short put to that song on TV and watched it online. My kids thought it was "weird." Being hurt that they didn't like something from my childhood I fired back, "Yeah well your mom's weird." Which also backfired. Maybe we should watch the Just Dance one on YouTube.